It’s been so humid since the typhoon was gone. God, please end this summer as soon as possible. Now some companies are even working on Saturday and Sunday because they have to save the power. Of course so does my company. Instead of working on weekend, I am off on Monday and Tuesday. It’s not a good thing to me because I can’t join any cosplay events. Almost no events happen on weekdays. Even that, I do cosplay. It’s hard to find a photographer who can help me on weekdays, but I have to. Anyway, this year I decided not to cosplay new characters because I bought a new camera. I prefer to take my old characters than cosplaying new ones, but…I cosplayed him. 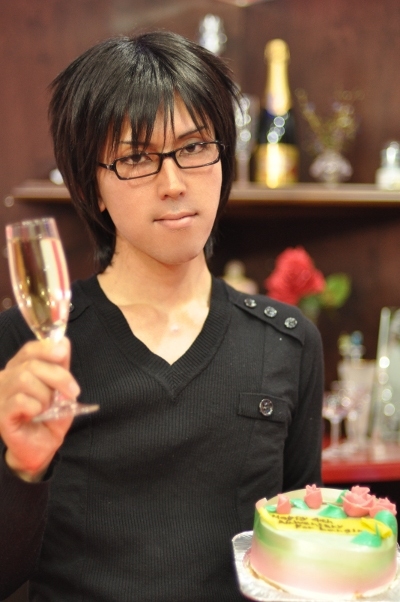 He is Tedsuka Kunimitsu[手塚国光] in Prince of Tennis[テニスの王子様]. You know, this is so popular not only in Japan, but in Taiwan or Sounth Korea. Besides, this series has a live-action drama and a musical on stage called Tenimyu[テニミュ], which a lot of young good-looking actors show. It’s hard to choose who to cosplay because this series has too many boys. 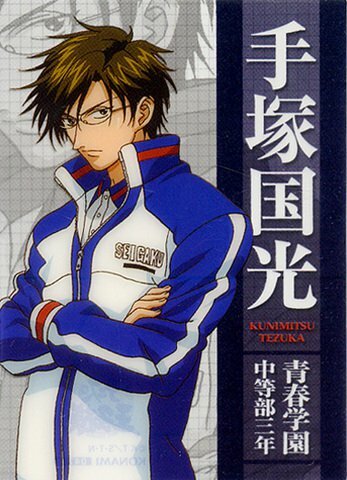 Tedsuka is the manager of Seigaku Tennis Club that the lead characters join. I must say other schools are far popular than Seigaku such as Hyoutei or Higa. Poor the hero Ryoma! Who is the real hero? Put aside almost all the characters do not look like a junior-high. 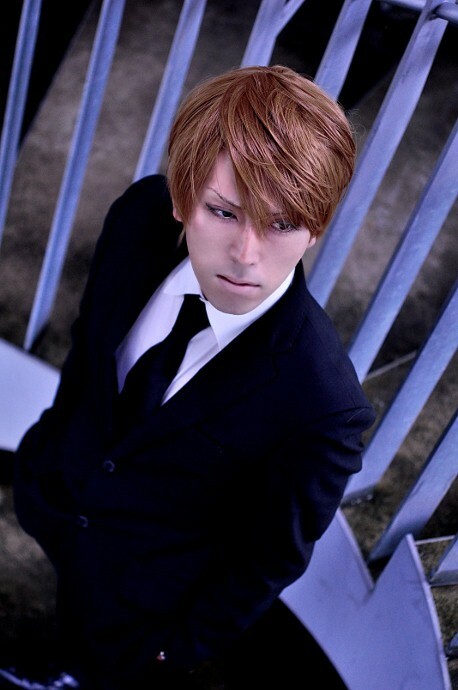 Still, Tedsuka looks like a salaryman no matter how many time I try to think he is actually 14 or so. Well, it is good to me because I am a salaryman. Even though this was my first time cosplaying Prince of Tennis, it was so challenging to me. First I have never played tennis, so I had to see how the cosplayers strike a pose. Also, I wanted to do this cosplay at a tennis court, so I went to my alma meter to ask a permission. First their reaction was negative, but I countinued to negotiate so they said yes. So my friend and I went to the school around 16:00 or so because they appointed the time. When I changed and stepped into the court, some players surprisingly looked at me. 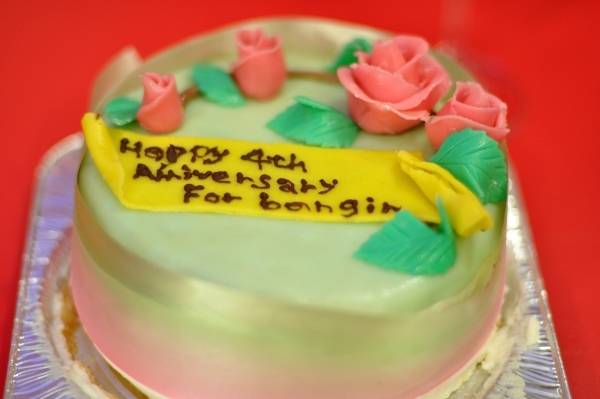 It was a bit embarrassing, but we did our best. It’s July. How come times goes by so fast? Now it’s getting humid, but we refrain from using an air-conditioner because we have to save power. Ah I wish summer ends soon. If you have followed my blog, you might know I have cosplayed Hakuouki[薄桜鬼] a few times. 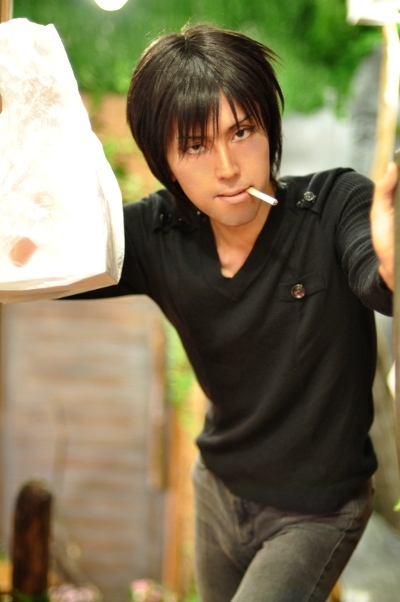 The character I cosplay from this series is Saito Hajime, and I have cosplayed with Chidsuru, Toudou, and Harada so far. 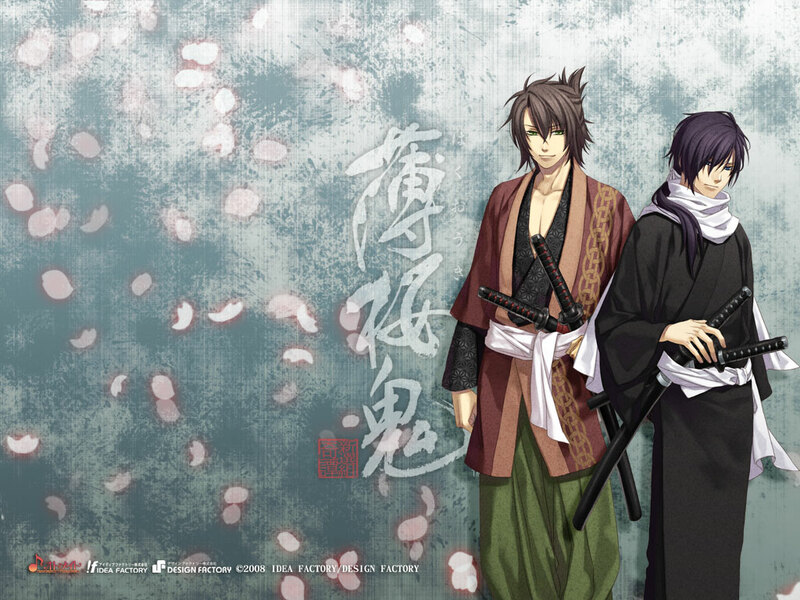 This time, I could finally cosplay with Okita Souji [沖田総司]who is one of the Shinsengumi members. In this series, Okita is depicted as a bit mean guy although he is seriously sick. I think he is one of the most popular characters. No. 1 is Hijikata, 2 is Okita, and 3 is Saito.